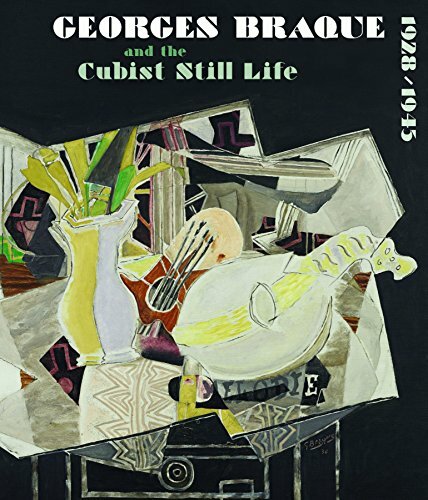 This book offers the first detailed look at Braque's experiments with still lives and interiors during this significant time in his career. One of the leading founders of Cubism, Braque employed the genre of the still life to conduct a lifelong investigation into the nature of perception through the tactile and transitory world of everyday objects. Examining a transitional time between Braque's early Cubist works and his late grand series, this catalog considers his paintings within the cultural and political context of Europe during World War II. Reproduced in vivid color, Braque's paintings are accompanied by scholarly essays that explore the rise of Braque's popularity in the US, including his first major retrospective in America and the reception of his work of the early 1930s and 1940s by German and French critics. This volume also offers a behind-the-scenes look at the materials and process employed by the artist as illuminated by an intensive conservation study of select important works. This examination of Braque's career features exquisite reproductions and incisive historical and aesthetic investigations of his work leading up to and during World War II. Reproduced in vivid color, Braque's paintings are accompanied by scholarly essays that explore the rise of Braque's popularity in the US, including his first major retrospective in America, and the reception of his work of the early 1930s and 1940s by German and French critics, as well as a behind-the-scenes look at the materials and process employed by the artist as illuminated by an intensive conservation study of select important works.